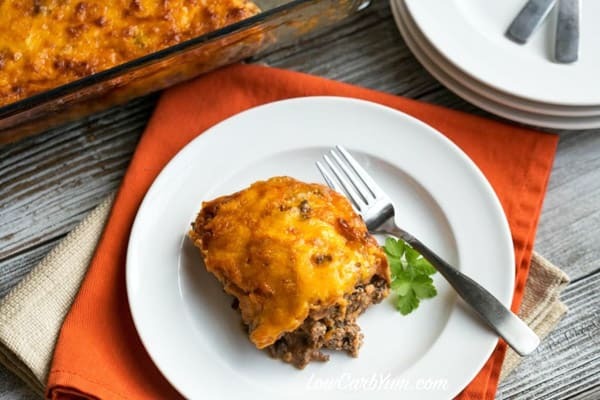 When you think of comfort food, it’s not too difficult to imagine various types of casseroles – topped with gooey cheese and scrumptious other ingredients. When you have Celiac disease though, it becomes a little tricky. Or, maybe not? There are a lot of gluten-free casseroles to find online now. 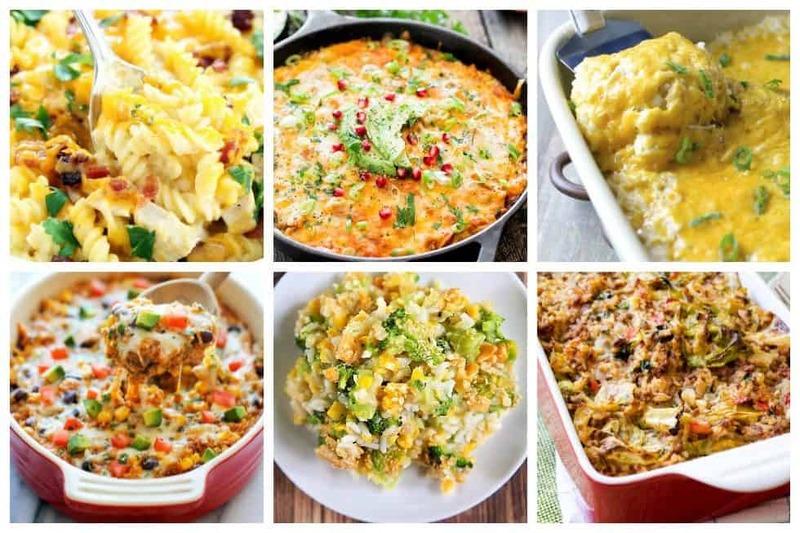 These 20 easy-to-make gluten-free casserole recipes are just a few we’ve found for you. 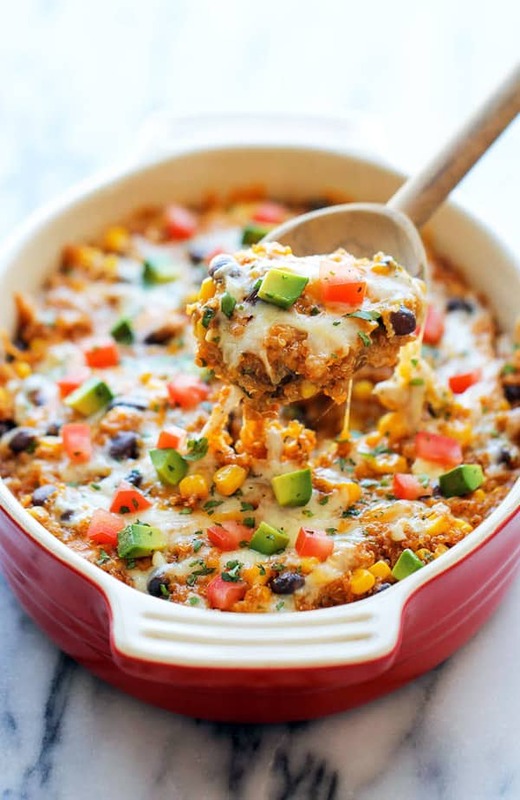 Chicken Tamale Casserole in a Skillet made from scratch! Delicious cornbread crust topped with shredded chicken, enchilada sauce and loads of cheese, yet only 312 calories per serving! 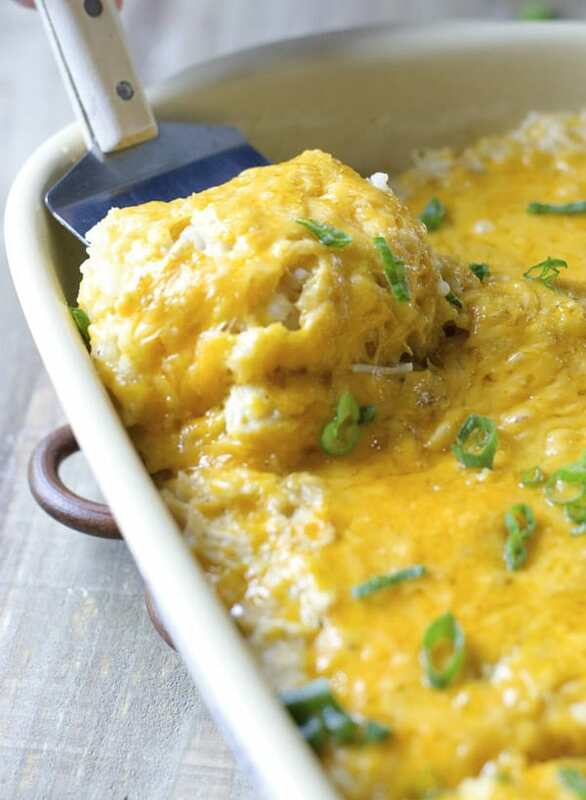 Use up all of your summer squash in this super easy and healthy summer squash casserole. 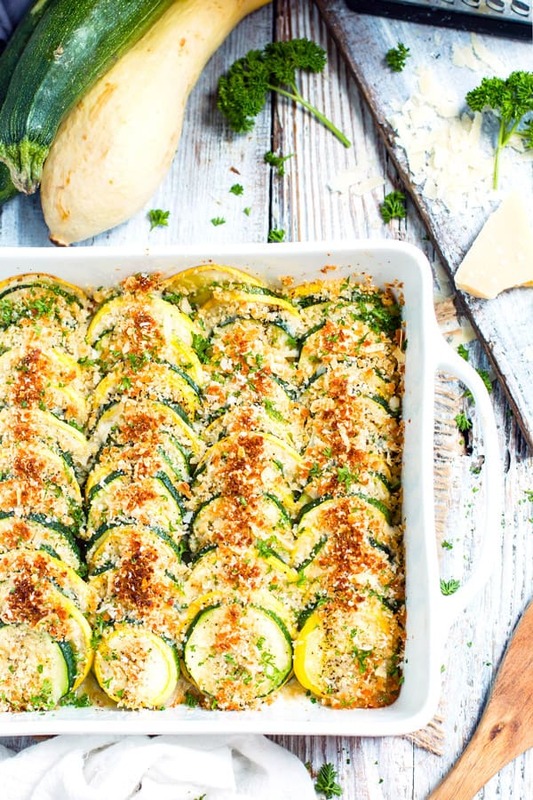 Made with yellow squash and zucchini squash, this recipe is a quick side dish for any meal. 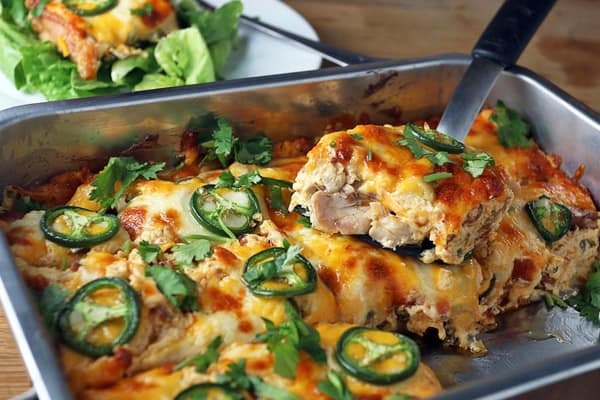 Also known as Stacked Chicken Enchiladas. It’s also easy to adapt to be vegan and dairy-free. And easy to load up with your favorite toppings galore. 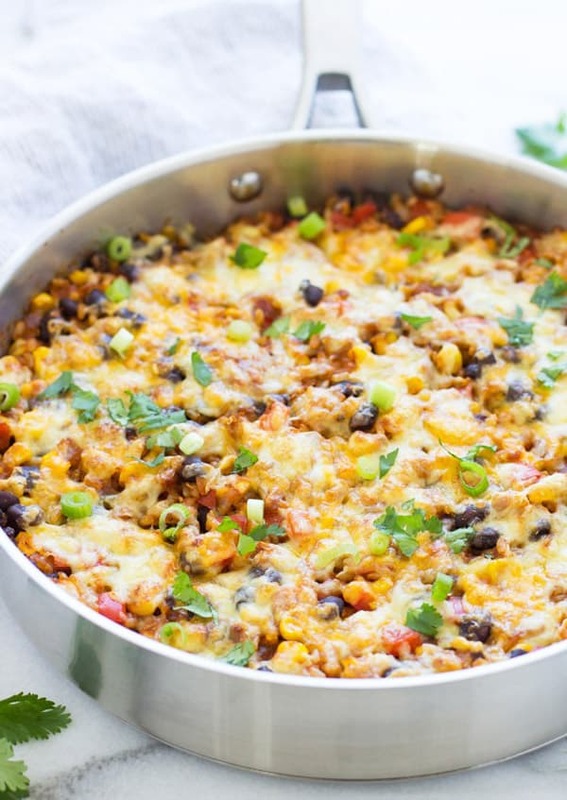 One Skillet Mexican Rice Casserole is an easy option for dinner with almost zero clean up. 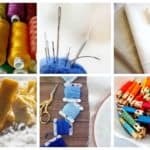 It’s gluten-free and can easily be made vegan too! 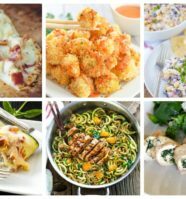 It is so easy to make and tastes great! Cooked rice, creamed corn, broccoli, onion and garlic topped with butter and Ritz crackers. YUM! SO simple yet so delicious. 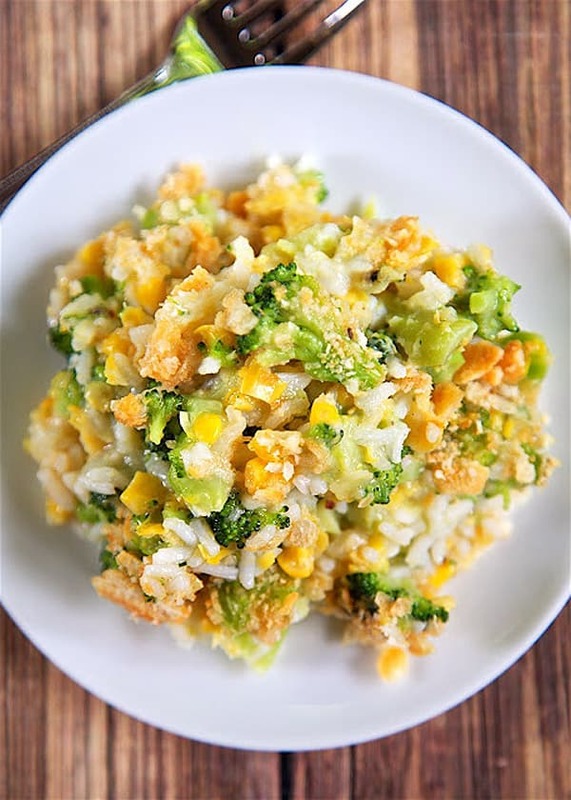 Even broccoli haters will love this Corn & Broccoli Rice Casserole! 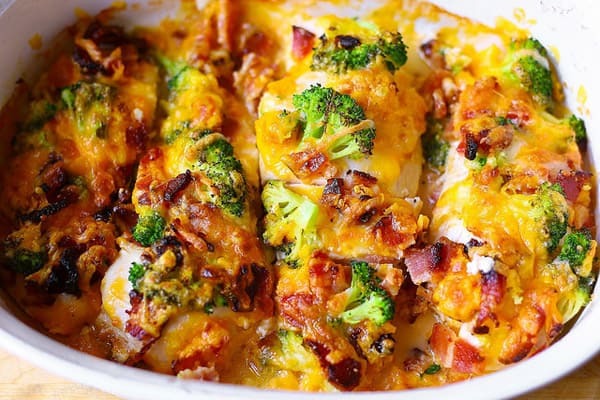 Baked Broccoli Bacon Cheddar Chicken Breasts – easy dinner that a whole family will love! Just throw all ingredients together and bake! 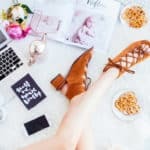 The recipe is so easy – great for when you don’t have too much time on your hands to think about what to cook for dinner. 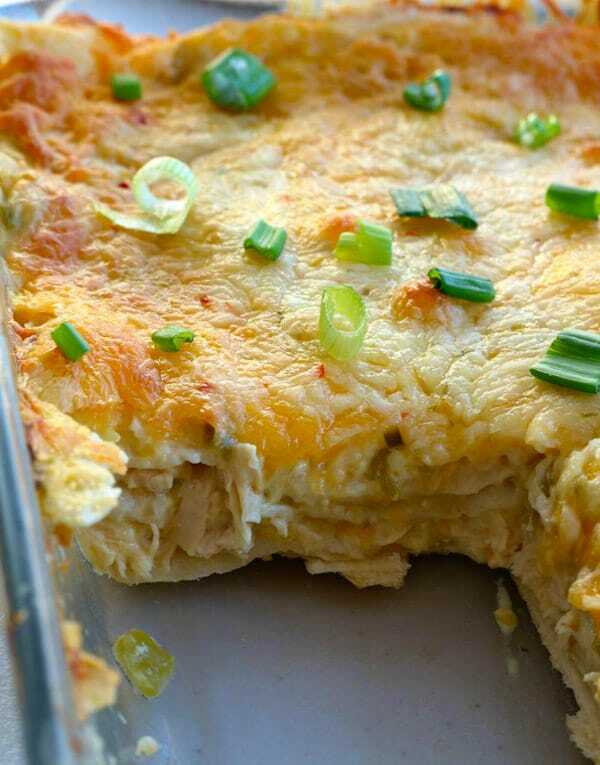 These creamy pepper jack chicken enchiladas are to die for. So cheesy and so creamy. 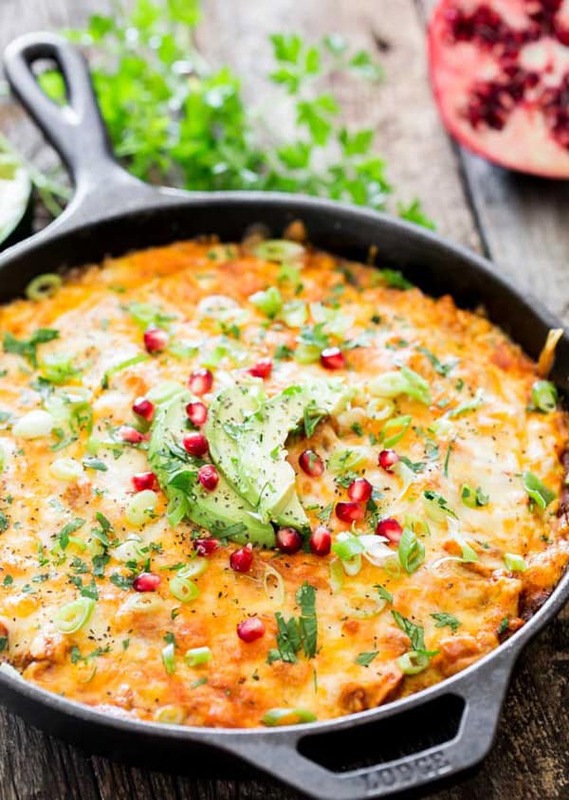 This is a super easy enchilada bake with quinoa instead of a tortilla. By using quinoa, we’re adding in some fun healthy goodies, like protein and fiber, and there’s absolutely no rolling or wrapping of any kind. You can simply throw everything into a bowl, mix it up, and bake it from there. Yes, it doesn’t get easier than that! 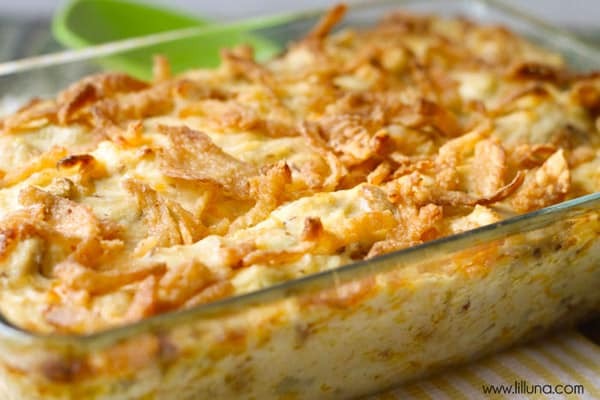 This easy Cheesy Chicken & Rice Casserole is a classic comfort food! Super easy and perfect for those picky eaters! 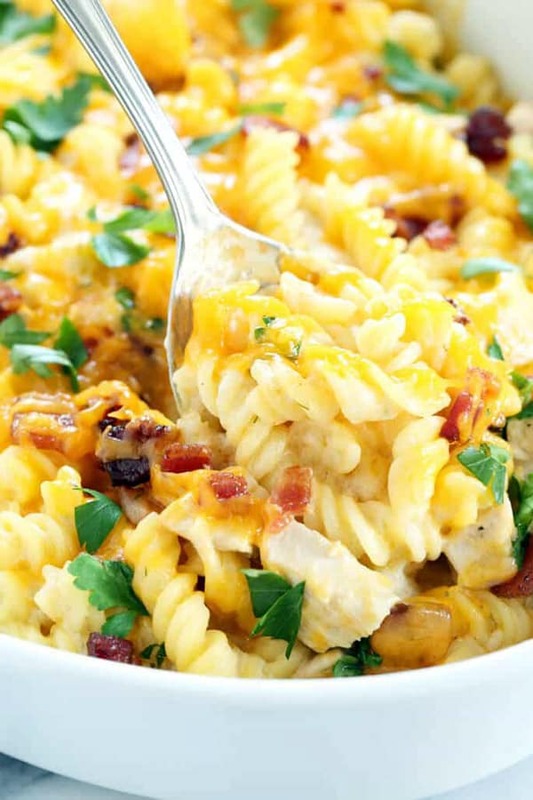 A creamy, cheesy chicken dinner, packed with an easy ranch cream sauce, bacon and all the right spices. 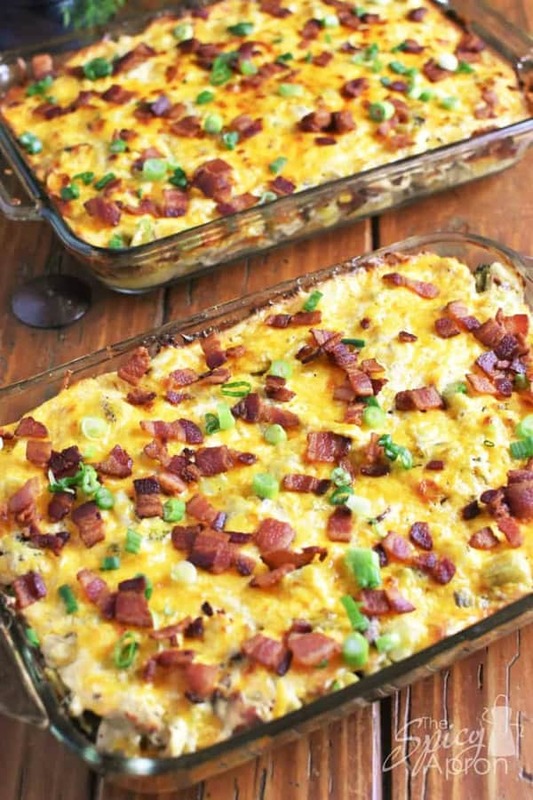 This gluten-free chicken bacon ranch casserole is the perfect comfort food! The best part about this casserole is that the entire hands-on time is only about 5 minutes and it has only 5 ingredients. 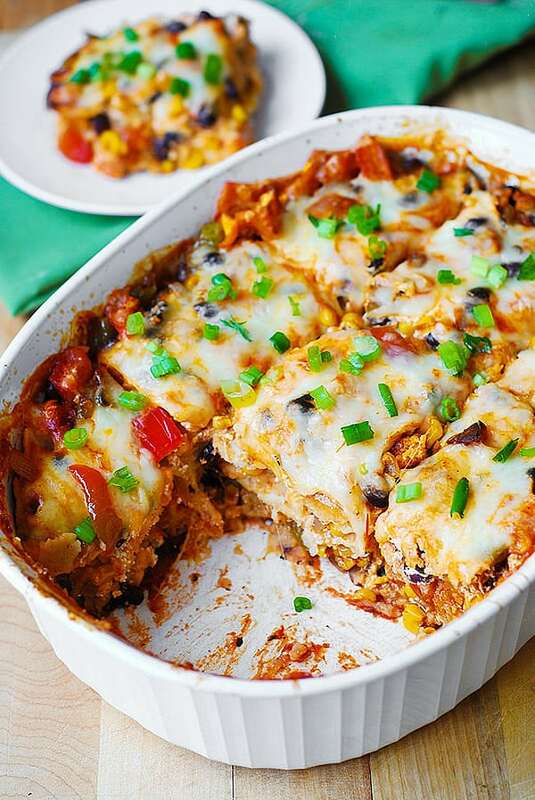 Black Bean and Butternut Squash Enchilada Casserole – a delicious, super easy to make casserole dinner recipe! The vegetables are roasted in spices (cumin and chili powder) before we add them to the dish, which adds lots of Southwestern flavor! Other ingredients include green and red bell peppers, corn, salsa, enchilada sauce, sour cream, Mozzarella cheese, and corn tortillas. 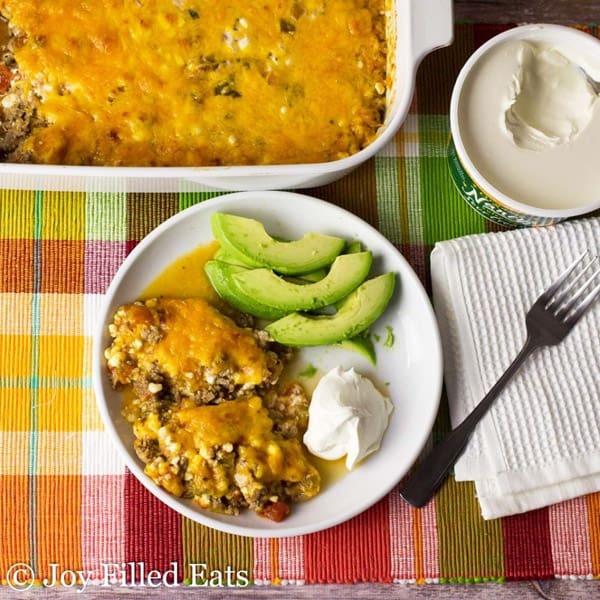 If you love Mexican food or Southwestern recipes, you’ll love this! Jalapenos and buffalo chicken are a marriage of flavors that just had to be done. It’s a flavor explosion that is oozing with rich and delicious cheese and packed full of spiciness in every bite. Of course – you can’t forget about bacon. Everything tastes better with bacon. 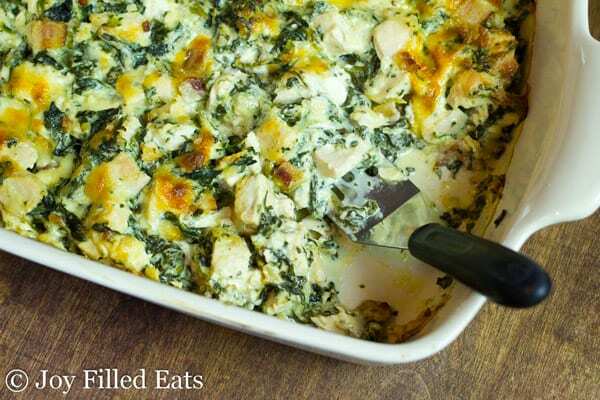 This gluten free, low carb Chicken Bacon Caesar Casserole is great when you are pressed for time. It is easy, flavorful, and can be made ahead. You can even make it in a crockpot. A great way to get kids to eat spinach! Like stuffed peppers but not all the fuss? 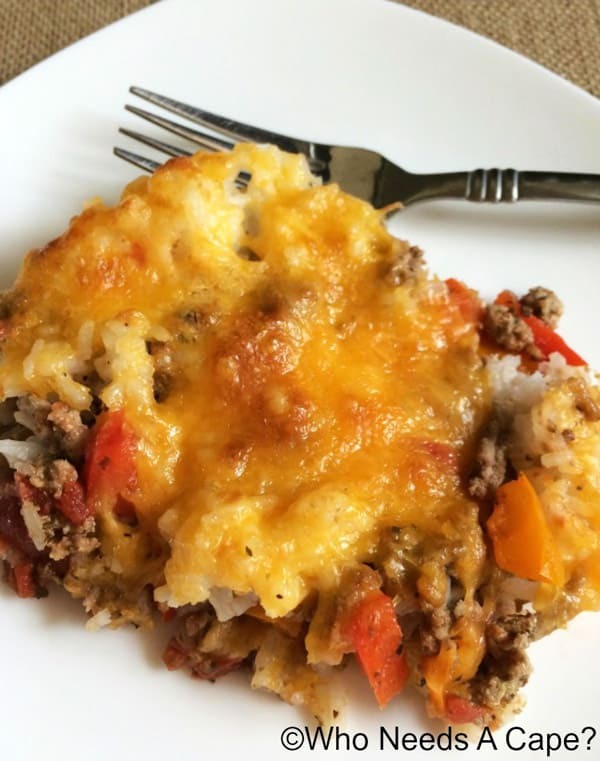 Make this easy Stuffed Pepper Explosion Casserole, all the great flavors of the traditional dish, but so easy. Via Who Needs a Cape? 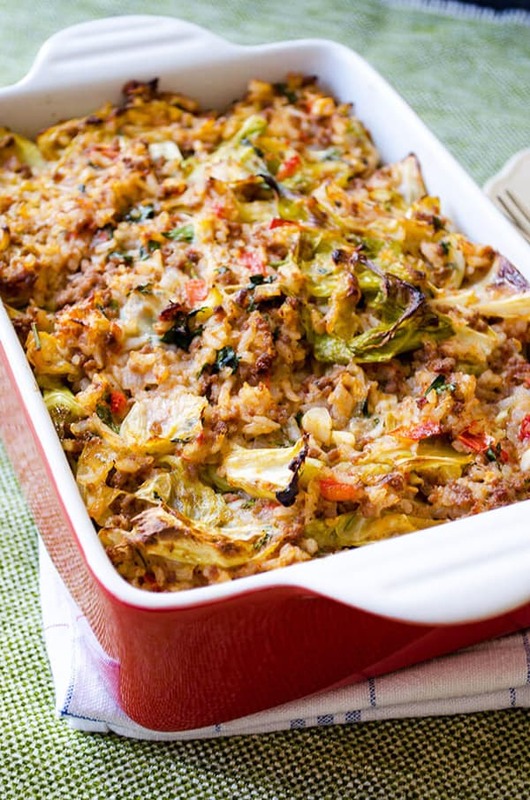 Unstuffed Cabbage Casserole doesn’t take even the halftime of stuffed cabbage rolls but it is as scrumptious. You won’t bother making cabbage rolls anymore once you try this recipe. This has chicken, ham, and swiss in a creamy dijon sauce. Since you don’t need to bread the chicken or stuff it is quick and easy. One of the most important things for this recipe to make sure the chicken is nice and juicy. If the chicken is moist this will be moist and flavorful. If you are started with dry chicken I recommend making 1.5 times the sauce to compensate. Or even doubling it. 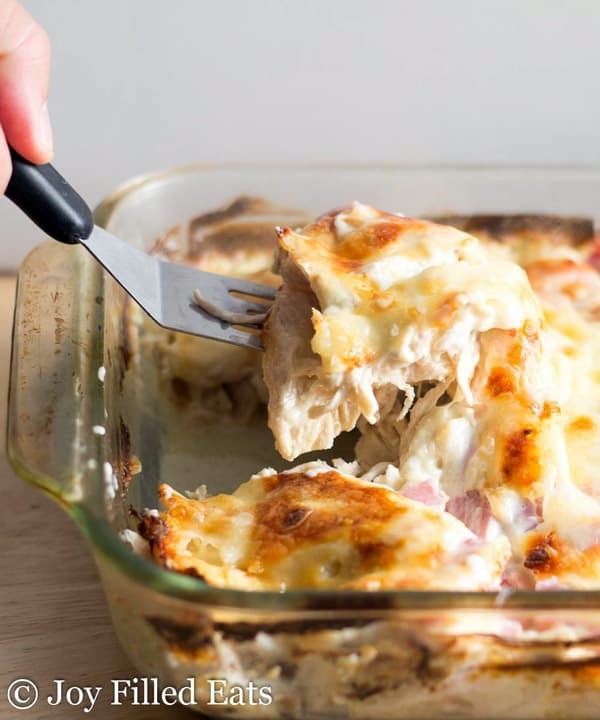 The best thing about this French Onion Chicken Casserole is that it takes little prep time. Literally, it takes about 5 minutes to throw together if your chicken is already made. Loaded with tender baby potatoes, tangy sour cream, gooey cheese, savory chicken, peppery chives, a bit of tender broccoli, and full of crisp, smoky bacon (let’s definitely not forget the bacon), this dish has something to please everyone (except those on a diet.) It comes together with very little effort, fills the cabin with mouthwatering aromas, and leaves everyone with bellies almost uncomfortably full (almost). 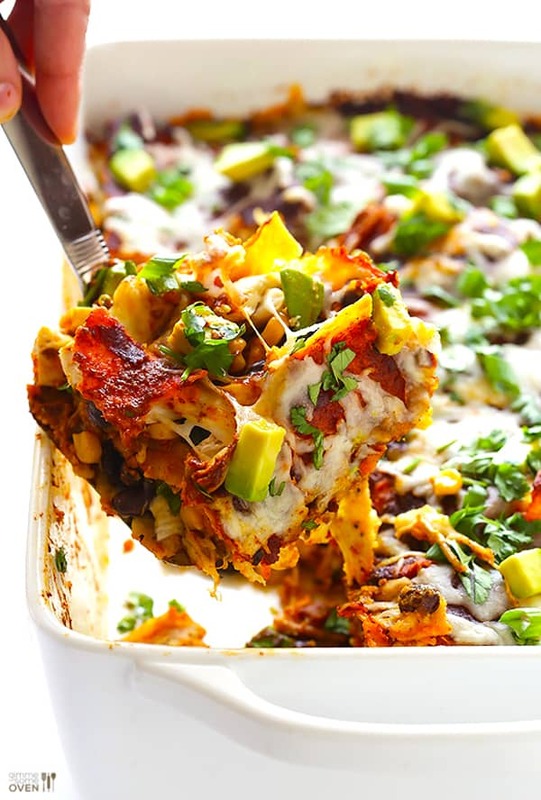 You’ll find that these gluten-free casseroles are truly that easy to make. You don’t have to spend hours in the kitchen to come up with a soon-to-be household favorite!